New England Revolution appeared to put a lot of focus on set pieces prior to the match against Columbus Crew. 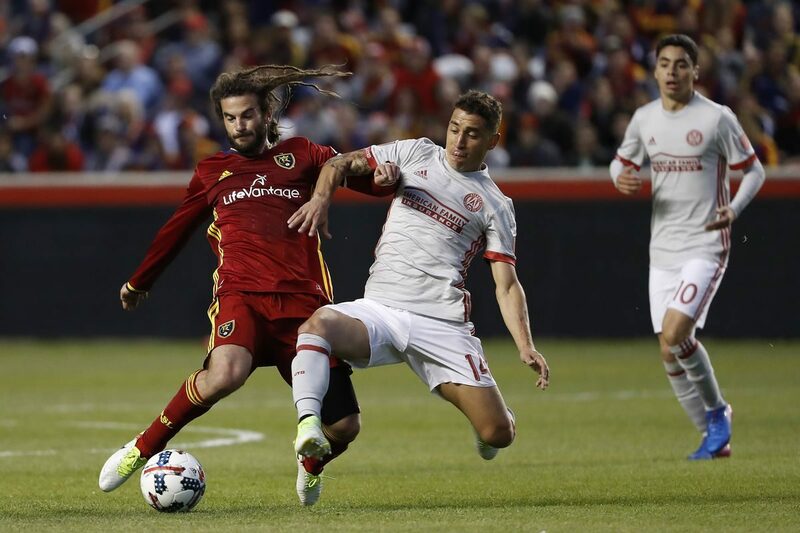 Many questioned the tactics from head coach Jay Heaps ahead of the match, but it proved to be the major difference between the two teams in the first leg of the MLS cup semi-final match. New England scored two of the four goals from set pieces and it has given them a 4-2 advantage going into the second and final leg in front of their supporters. The victory gives New England a great chance to reach the next stage. Chris Tierney was one of the score was on the night with a fantastic freekick in the second half. He told ftbllr that New England have a substantial advantage when it comes to set pieces due to the sheer variety of players they have in the squad. This ultimately gave them a major advantage over Columbus Crew, who have already beaten them twice this campaign. Charlie Davies scored a brace in the match on either side of the goals from Tierney and Nguyen. The late penalty from Higuain means that Columbus need to find three goals against New England in the second leg. Coach Heaps is likely to focus on not conceding an early goal in order to protect the advantage. “It’s something we’ve spent a lot of time working on in training. The last thing Jay said before we went out for the game today was, ‘Let’s get a set-piece goal.’ We’ve got some good options. Right-footers, left-footers that can play in different kinds of balls. You see the ball that Kelyn Rowe put in on the run that Charlie made for the first goal. That’s something we worked on in training all week in training. The hard work paid off,” said Tierney.